Home » Is Private Cord Blood Banking a Worthwhile Investment? Cord blood banking has been increasing in popularity over the years. These facilities work by storing umbilical blood cords for future use. Because of this, more and more couples are considering cord blood banking as one of their options after giving birth. There are however, a number of factors that needs to be considered especially when private cord blood banking comes to mind. Cord blood has shown quite a promising result in treating a variety disease that are associated to blood and immune systems which includes a wide range of cancers, genetic diseases, and blood disorders. This is made possible with the stem cells found in the umbilical cord. Collecting cord blood is relatively easy with no risk to the mother or baby. As a result, many are considering banking on their umbilical cord blood because of its accessibility. It should be noted that patients today are given two options on how they want to pursue cord blood banking with private or public banks. Each of these banks have their own unique set of features that helps set them apart from each other. Private cord blood banking’s main benefit is that the cord blood will be stored exclusively for the couples as well as their families to use. 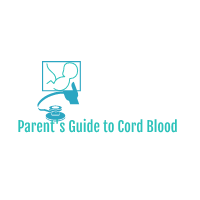 This is handy especially since clients will have direct access to these cord blood at any given time when the need calls for them to do so. With that being said, private cord banks and its exclusivity is not offered free of charge. Private banks are known to on the expensive side of things with a first-year processing fee that ranges from about $1,000 to $3,000. Furthermore, use of these cord bloods does not happen right away so clients may want to also consider annual storage costs of about $90 to $175. On the other hand, public cord blood banking is a good option for those who are on a tighter budget as they will be able to store them without spending a considerable amount of resources in the process. Public banks are free of charge although this comes with a cost and that is clients will not have direct access to their cord blood. Instead, these are donated for the public to use. As a result, finding a cord blood can be a little bit of time consuming as there are others waiting in line for these services. This can become problematic especially if there are medical emergencies that require them right away. Private cord blood banks although a bit costly, offers a huge amount of convenience to their clients. This is the reason why a huge number of individuals are now leaning towards private banks as they find paying for the benefits a worthwhile investment. There overall benefits people receive greatly outweighs their cost making them very enticing to people. With that being said, this decision should be made by both partners who are involved especially since they will be the ones paying for the service. Previous post Is Cord Blood Worth the Time and Investment? Next post The Value Proposition Behind Cord Blood: Is it Your Time and Money?